Be sure to tune to your local PBS station on Thursday, October 1 for Fetch! 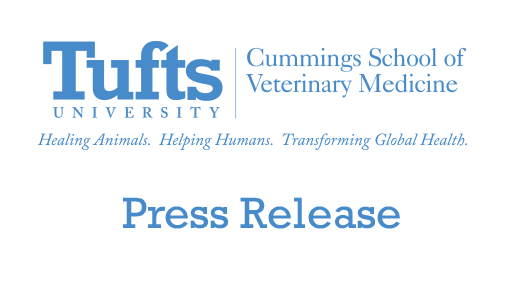 With Ruff Ruffman as the cast of the PBS children’s show will turn to Tufts University’s Cummings School of Veterinary Medicine to find the answer. With faculty well-versed in veterinary medicine and a campus that features a working farm, the Cummings School became the perfect backdrop for the program’s team of young scientists, who were posed the question by its cartoon dog host. The answer, of course, is a closely guarded secret. But the FETCHers spoke with Professor of Behavior Nicholas H. Dodman and Lara A. Weaver, interim director of the Division of Teaching and Research Resources, for help in determining canine intelligence, then turned to swine herdsman Garth Miller to meet some of the school’s pigs. 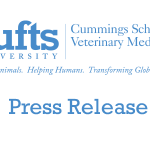 Local dog owners–including users of the school’s Farm Field–brought dogs ranging from Afghan Hounds to a Wire Fox Terrier to determine which breed of dogs was the smartest. The winning pooch was then matched up against one of the Cummings School’s swine in a battle of wits. The episode will be re-aired on Thursday, November 5, 2009. Please check your local listings for show times.